We are one of the UK's longest established and most respected professional track day event organisers. We run open pitlane events with no queueing. At last a run out in the M3 with new Black Series Powerflex bushes including the front caster adjusting bushes. Transformed the car with more precise steering and handling generally. Turns in with incredible precision and rides the bumps better than ever. Best/cheapest upgrade you can do!! 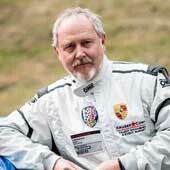 I have used GoldTrack on a number of occasions over the past few years as part of my recent launch into motorsport. GoldTrack are one of the best track day organisers in the UK and Melindi's approachability and no-nonsense approach makes each event a pleasure. Melindi and the Gold Track team are very professional, approachable and are experts in their field, Always very well organised events which are a pleasure to attend. Can I insure my car? Gold Track is one of the UK's longest established and most respected professional track day event organisers. We run open pitlane events with no queueing. 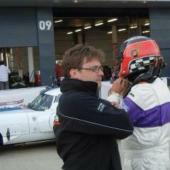 For racers and track day drivers alike Calum will sit in car with you and work on every aspect of technique and lines. In the time between sessions he will work on car set up if appropriate along with discussion on psychological preparation and approach. Melindi takes the wheel when it come to organising a fantastic track day. Always helpful and is know for her humour. 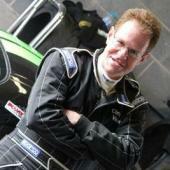 Multiple championship winner including the British GT & /British Endurance Championship 4 times. Grade A ARDS & MSA licenced coach. Depending on the date and the track day location. A selection of top ARDS instructors chosen for their coaching skills. No track driver ever stops learning and we take tuition very seriously. Tuition on Gold Track days takes you from familiarisation and basic tuition right through to in depth coaching for racers. We chose our ARDS instructors for their experience, communication skills and ability to gauge their input to your current level of experience. Our commitment to safety and high standards of track driving starts with free initial tuition for novices, whether it's your first time ever or just an unfamiliar circuit. This ensures that all our customers achieve a certain minimum standard of competence before going solo. 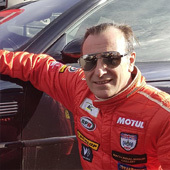 One of our instructors will sit with you in your car while you drive your first laps. After that, the instructors are available all day for further advice. You can book 30 minute one-to-one tuition sessions at all our events. If you are interested in track driving skills development, in depth race or track day tuition take your skills to the next level with Gold Track founder and multiple champion Calum Lockie. Click the tuition tab for full details. Instantly solve your problem for buying Christmas, birthdays, anniversaries or retirement gifts with a Goldtrack gift voucher. At last a run out in the M3 with new Black Series Powerflex bushes including the front caster adjusting bushes. Transformed the car with more precise steering and handling generally. It was a sunny day at MSV’s Brands Hatch circuit in Kent, where we’d be taking on the GP circuit. I went to the briefing, which was one of the best I have been to in a long time. Need assistance on booking on multiple venues / dates?